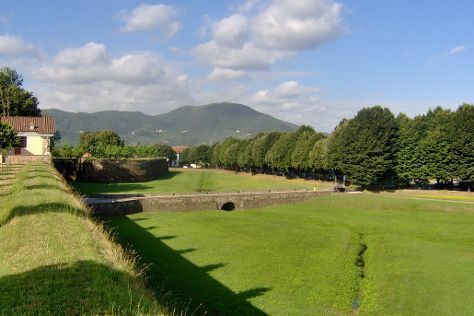 Lucca, famous for its intact Renaissance-era city walls, remained an independent city-state until the end of the 18th century. Change things up with these side-trips from Lucca: River Rafting & Tubing (in Bagni di Lucca), Vernazza (in Vernazza) and Footpath Monterosso - Vernazza (in Monterosso al Mare). And it doesn't end there: take in panoramic vistas at Leaning Tower of Pisa, admire the landmark architecture of St Martin Cathedral, steep yourself in history at Le mura di Lucca, and contemplate in the serene atmosphere at Duomo di Pisa. Use Inspirock's suggestions to plan your Lucca trip and find the best activities and attractions for your vacation. In March, plan for daily highs up to 18°C, and evening lows to 6°C. Finish up your sightseeing early on the 2nd (Tue) so you can travel back home.